I told a friend that it gives me HOPE! Its kinda of hard to be focused with all the hate going on in the U.S./world...just saying, keeping it real. The bright white light at the top left...I think that is the SUN shining through the darkness. (The SON!) That is what Jesus does for us. He shines through the darkness in the storms of life and gives us hope!! Love this picture. Thank you. 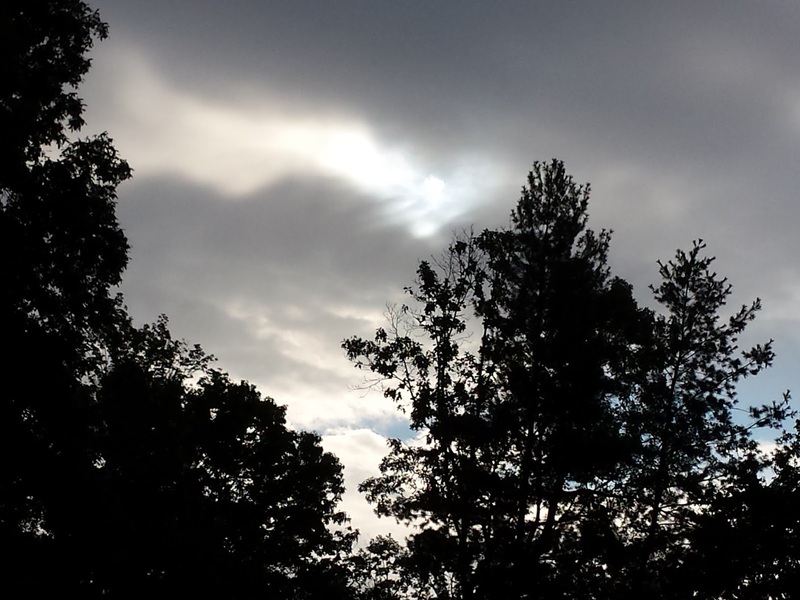 The blue sky peeking through does indeed represent hope!! Amen! I noticed the clouds first and then the blue sky of hope.